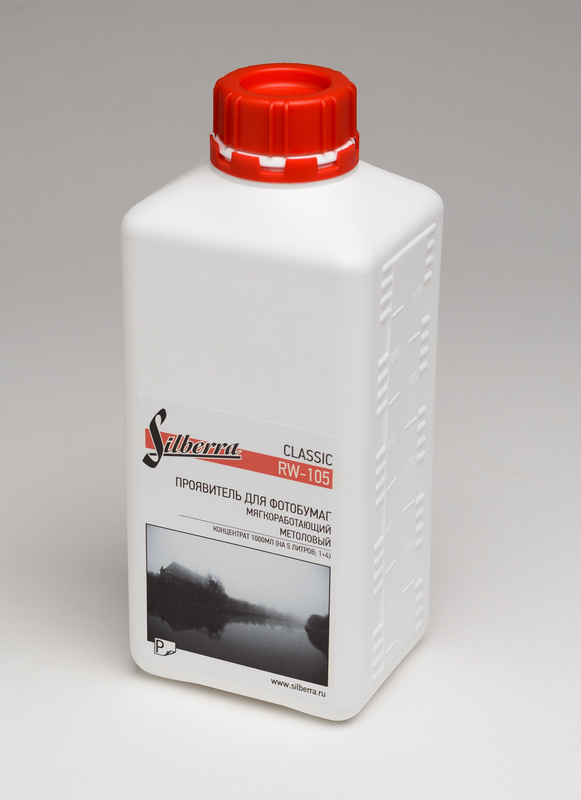 Silberra RW-105 Developer is a single-solution concentrated smoothing metol developer for photo papers. It can decrease contrast of prints while using negatives of high contrast, and at the same time it helps to save density and saturation of dark tones. The developer works perfectly with photo papers with expiring or expired date; it also works well with "Slavich" photo paper. While working with multigrade photo paper you should remember that Silberra RW-105 developer reduces actual contrast of photo paper by about a half-step. Such side effects like darkening of the working solution or flocculant sedimentation are admissible and do not affect the chemical properties of the developer. If there are white whiskers in the working solution, the developer can't be used any more.